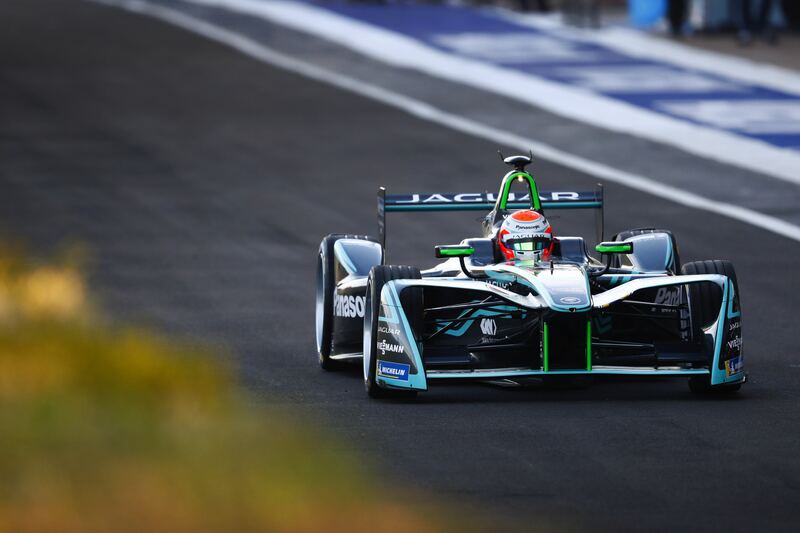 It was another point-scoring finish for Panasonic Jaguar Racing in Marrakesh, with Nelson Piquet Jr bringing home fourth place and the fastest lap, enough for the team to consolidate fourth in the team’s standings. Panasonic Jaguar Racing showed once again the improvements that it has made since their debut season, with Nelson Piquet Jr running consistently in the top ten and bringing home fourth place for the team after battling with the likes of Jose Maria Lopez and Jean-Eric Vergne throughout the race. It was a more difficult day for Mitch Evans on the other side of the garage, who qualified ninth on the grid and damaged his car in the early stages following contact with a rival. The timing of the Full Course Yellow didn’t help matters and the Kiwi ended the race out of the points in 14th. Nonetheless, the British squad once again proved that they are now a force to be reckoned with and look on course to challenge for more podiums and maybe even a maiden victory. 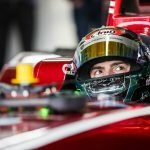 After two disappointing seasons scrapping for points, Marrakesh served as an excellent reminder of why Nelson Piquet Jr is a champion of Formula E.
The Brazilian qualified his Jaguar in seventh and wasted no time in battling with those around him, working his way up to fourth as he fought past the likes of Jose Maria Lopez and Jean-Eric Vergne. With Sam Bird in his sights, Piquet did everything in his power to chase down the Englishman and fight for a podium, setting the fastest lap of the race in the process. 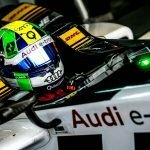 Ultimately Piquet fell short by less than a second, but not only does his speed prove the potential of the car but also that he hasn’t lost any of his stellar energy management and outright speed. Expect podiums from Piquet soon. Whilst Piquet was enjoying a successful run to fourth, Evans had a day to forget in Marrakesh. Early contact bent the steering column on his first car which left the Kiwi with more work to do than he should have. With his first car also enduring issues with energy management, Evans was more than pleased to see his second car but had an uphill climb in the second half of the race. Unfortunately 14th place was all that Evans had to show for his efforts, with the general consensus being that there was a lot more potential, especially considering his maiden podium last time out in Hong Kong.